NASUWT is committed to supporting members in academies. Below are some resources and frequently asked questions on academies and the conversion process. For information on specific academy chains, please use the links on the right/below. How does the NASUWT support teachers in academies? The NASUWT gives full support to all members regardless of the type of school in which they teach. The NASUWT believes that all state-funded schools, including academies, are a critical part of our public education service and, therefore, in order to deliver the educational entitlements to all children and young people, teachers in all state-funded schools need to be working within a national framework of pay and conditions of service which supports all teachers in delivering high-quality education. It is important that senior leaders and governing bodies in all school types understand what enables all of their pupils to meet their potential, and that there is an inextricable link between the pay and conditions of teachers within a school and the outcomes that the school achieves for pupils. 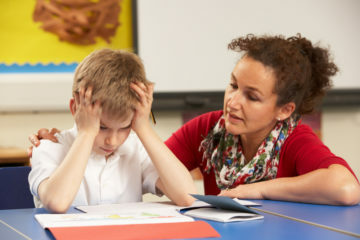 Consequently, the NASUWT continues to campaign for national pay and conditions frameworks to apply in academy schools, and for all children and young people to be taught by qualified teachers who are recognised and rewarded as highly skilled professionals and have working conditions which enable them to focus on teaching and learning. The NASUWT supports fully members in academies, individually and collectively, in maintaining adherence to policies that protect the pay and conditions of service of teachers and headteachers. The Union provides a wealth of advice, bulletins, briefings and training and professional development opportunities for all members in academies. The NASUWT is the only teachers’ union which has a dedicated team of national negotiating officials, a key part of whose role is to negotiate with academy trusts to meet with employers and to secure pay and conditions of service policies and procedures that will benefit teachers and school leaders. Is it true that all schools must be academies by a certain date? In its White Paper, Educational Excellence Everywhere, the Government stated that every school should be an academy or part of a MAT by 2022 and planned to introduce the legislation it needed to make this happen.However, following opposition, this proposal was dropped by the Government on 6 May 2016 and there are now no plans to take forward legislation on this matter. What is the difference between academies and maintained schools, between academies and free schools and between stand-alone academies and MATs? Academies exist in a number of forms including free schools, studio schools, university technical colleges and sixth form colleges. An academy can either be a stand-alone school or part of a MAT. What will happen to my pay and conditions if my school becomes an academy? In the first instance, your pay and conditions would remain the same because of the protections of the Transfer of Undertakings (Protection of Employment) Regulations 2006 (TUPE). However, new employees who join the school after the school becomes an academy can be employed on different pay and conditions because academy schools are not in any way bound by the national pay and conditions framework nor by any agreements negotiated locally with your local authority. The NASUWT does, however, seek to work with academy employers to seek to make sure that all staff, those who transfer and those who are new, are employed on the same agreed conditions of service. Are academy schools bound by the School Teachers’ Pay and Conditions Document? Academy schools are free to develop their own terms and conditions for new staff. However, as a result of proactive engagement by the NASUWT, the majority of academies continue to honour the national pay and conditions framework for teachers as set out in the School Teachers’ Pay and Conditions Document (STPCD). Where a school has converted to academy status, teachers’ pay and conditions of service would remain the same because of the protections of the TUPE. Where teachers agree to a change of contract following conversion to academy status, they will be bound by any new terms and conditions devised by the academy. What will happen to my pension if my school becomes an academy? Academies have to continue to offer the Teachers’ Pension Scheme (TPS) to teachers. Where a school becomes an academy, it becomes responsible for ensuring that contributions continue to be made to Teachers’ Pensions (TP) and that the complex administration of teachers’ pensions continues be carried out effectively. If a teacher’s pension is not administered effectively, then their pension benefits and tax liabilities could be seriously affected. The NASUWT has rigorously monitored employers to ensure that they carry out their responsibilities and has campaigned and organised successfully to ensure that academies complete the necessary data returns to TP and members’ pension provision is safeguarded. Which types of school can become an academy? All schools are eligible to become academies.In the case of Church of England and Roman Catholic schools, agreements exist with the DfE which ensure that the faith dimension is retained. Can a sixth-form college become an academy? secures the financial health and stability of the college – especially those colleges who are currently at financial risk and improving the efficiency and value for money of the provision it offers for young people in the area. Is there a requirement for staff or parents at a school to be consulted prior to academy conversion? There is no requirement at all for consultation with either parents or staff. However, it is good practice for parents and staff to be consulted before an application is made for academy conversion. If a school is converting to become an academy, although staff do not have a right to be consulted on the principle of becoming an academy, staff do have a separate right to be consulted on the impact of any change in the status of school under the TUPE Regulations relating to their conditions of service. The NASUWT will always seek to ensure that there is full consultation with teachers regarding conversion and its impact. How can parents make their views known about the school becoming an academy? Parents who wish to make their views known should contact the chair of governors requesting that a full consultation with all parents takes place.Parents should ask for full details of why the school is considering conversion and for a public meeting to enable everyone with an interest in the future of the school to discuss the proposals. Parents could also contact their local MP and/or councillors for support in pressing for a meaningful consultation and full involvement of parents in the decision making. Can a headteacher make the decision to convert a school to academy status? No. A headteacher has no individual power to determine whether a school becomes an academy and so cannot make the final decision. The decision rests with the governing body and if the school is a voluntary aided or controlled school, with the relevant religious authorities. Do schools need to have a sponsor to become an academy? If a school voluntarily decides to convert to an academy, it is not necessary for it to have a sponsor to do so. If, however, on conversion, the school intends to start a MAT to support other schools, then it will have to have a sponsor. What happens to the role of the local authority? If a school becomes an academy, the local authority will have no automatic role in the school. Some academy schools choose to maintain a relationship with the local authority and, for example, continue to buy certain services. However, the role of local authorities has changed considerably since 2010 and the introduction of the Academies Act and the process of academisation across England. This has impacted on the services and support that are available from local authorities, particularly as academisation has also coincided with cuts to local authority funding. Under the Education and Adoption Act 2016, local authorities were given a new duty to facilitate the process of schools becoming academies. Under proposals currently under consultation by the Government, changes to the national funding formula for all schools, including academies and non-academies, will mean that from 2019/20 all schools will be funded directly from the Government. Local authorities will no longer passport funding to schools in the authority. How quickly can a school become an academy? There are certain steps that must be taken when a school converts into an academy. These include TUPE consultation on the transfer of staff terms and conditions and agreements with the local authority. Consultation has to take place on the land arrangements and there may be consultation with stakeholders. All of this takes time and the length of time can vary, depending on the complexity of the issues in individual cases. The time required for a conversion to occur therefore varies from school to school. When an application is made, it is a minimum of two weeks before the Department for Education grants an academy order. It can take longer. Once the order is granted, timescales vary from two months to much longer for the conversion to take effect. Does the local authority have to be consulted on an application by a school for conversion to become an academy? Governing bodies do not have to consult with the local authority on applying for conversion to academy status. As an academy, will schools have more freedom? Schools, regardless of their status, already enjoy considerable autonomy over their affairs, whilst remaining accountable for their use of public money. All schools are subject to the same inspection regime. All schools are subject to the same test and examination performance measures.All schools are subject to primary legislation, including employment law, health and safety, and equalities legislation. Academies are funded in the same way as maintained schools. There is no additional funding. However, out of their funding allocation, an academy will have to make provision to replicate the range of services (finance, personnel, legal, insurances, etc) previously provided by the local authority. Will schools that convert to academy status get a new building? There is no additional money to support new buildings or refurbishment to existing buildings for schools that become an academy. Who owns the land when an academy converts? trust schools – the freehold of the land will be transferred from the current foundation to the academy trust, so that the academy trust will be the outright owner of the land. Do academies have greater curriculum freedoms? Academies are not required to adhere to the National Curriculum but all schools have freedom of how they implement curriculum provision. Who has oversight of academies? In part, this depends upon the nature of the academies themselves. For example, academies that are part of a MAT will have a layer of oversight from the academy trust. However, all academies are overseen by the Secretary of State for Education, through a National Schools Commissioner and a network of Regional Schools Commissioners. Ofsted is responsible for inspection of individual academies, as is the case for all other state-funded schools. What is the role of Regional Schools Commissioners? Regional Schools Commissioners (RSCs) play a key role in securing an academised school system, under new powers resulting from the Education and Adoption Act 2016. RSCs are responsible for securing new academies and intervening in underperforming academies in their areas. The Education and Adoption Act 2016 provides for the Secretary of State to be given powers in relation to maintained schools. This includes the power to issue warning notices to maintained schools and the power to require the governing body of a maintained school that is ‘eligible for intervention’ to enter into arrangements with an academy sponsor. The Act’s provisions also require that every school judged ‘inadequate’ by Ofsted receive an academy order. These powers of intervention are delegated to RSCs. How will academy conversion affect the educational provision pupils receive? Structural change does not of itself raise standards. There are outstanding academies and outstanding community and foundation schools. Academies have freedom to vary the curriculum and there are concerns that this has led to the narrowing of the curriculum in some schools and the loss of subjects, particularly creative subjects and the arts. Some academies have made decisions about costs of school uniform and equipment and educational opportunities offered by the school which have become cost-prohibitive for some families. It is important that prior to conversion parents and staff seek details from the governing body or sponsor of their plans in these areas. Do pupils achieve better in academies? There is no evidence that structural change such as academy conversion will result in better educational standards or outcomes for children. There are high-performing academies and there are academies that have been judged ‘inadequate’ by Ofsted. It is not what a school is called but how it supports high-quality teaching and learning that is critical to success. Does becoming an academy mean that the school will get new buildings and facilities? There is no provision for new academies to have new buildings or facilities. Will there be any changes to admissions? Academies are their own admissions authority and, therefore, set their own admission policies. They are required to abide by the fair admissions code. Once a school becomes an academy, what can parents do if they are not happy with any decisions made? In the first instance, as now, parents can complain to the school. An academy should have a clear complaints procedure. Academies are not local authority schools and, therefore, if parents are not satisfied with the school, they cannot generally complain to the local authority or their local councillor, although a local councillor may wish to try to assist. Processes for making complaints about academies are more complex than those of local authority schools because of the range of agencies involved. It may involve, for example, Ofsted, local MPs or going directly to the Department for Education. What happens if an academy experiences difficulties? This will largely depend on the nature of the difficulties. Matters concerning perceived underperformance fall within the remit of Ofsted or the RSC who has wide-ranging powers to intervene and may choose to move an academy into a MAT or move the academy into another trust if it is already a member of one. Financial problems/irregularities may be dealt with by the Education Funding Agency or the Department for Education, depending on the nature and severity of the difficulty faced. What should I do if my school is considering becoming an academy? Always, in the first instance, contact the NASUWT for advice and support. It is helpful if in preparation for discussion with the NASUWT members collect as much information as possible about the proposals and why the school is considering academy conversion. The NASUWT will arrange to visit and talk to members to discuss their views on the conversion and to provide them with information on academy status. Where members wish to oppose the conversion, the NASUWT will provide advice and support on the strategy to use. Whatever members’ views are on conversion and whatever the outcome of the process, the NASUWT will support members fully.